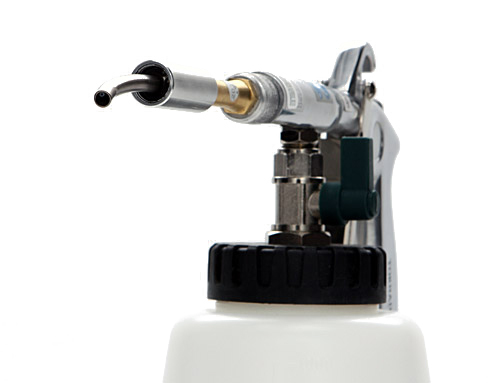 The Z-020 TORNADOR® BLACK can be used for all the same applications as the TORNADOR® Classic, but the BLACK is more effective on persistent spots and heavily soiled areas. The cone-shaped nozzle and oscillating tip create a tornado cleaning action that cleans hard and soft surfaces like nothing you’ve seen before. Dirt and grime are immediately released from fabrics, carpet, and solid surfaces. 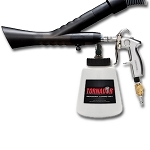 The TORNADOR® BLACK releases a fine mist of cleaning solution that does not over saturate surfaces. You’ll quickly see the dirt and grime release from the surface. Wipe with a microfiber towel. Then turn the dial to shut off the water and use the compressed air to dry the cleaned area. It’s that simple. 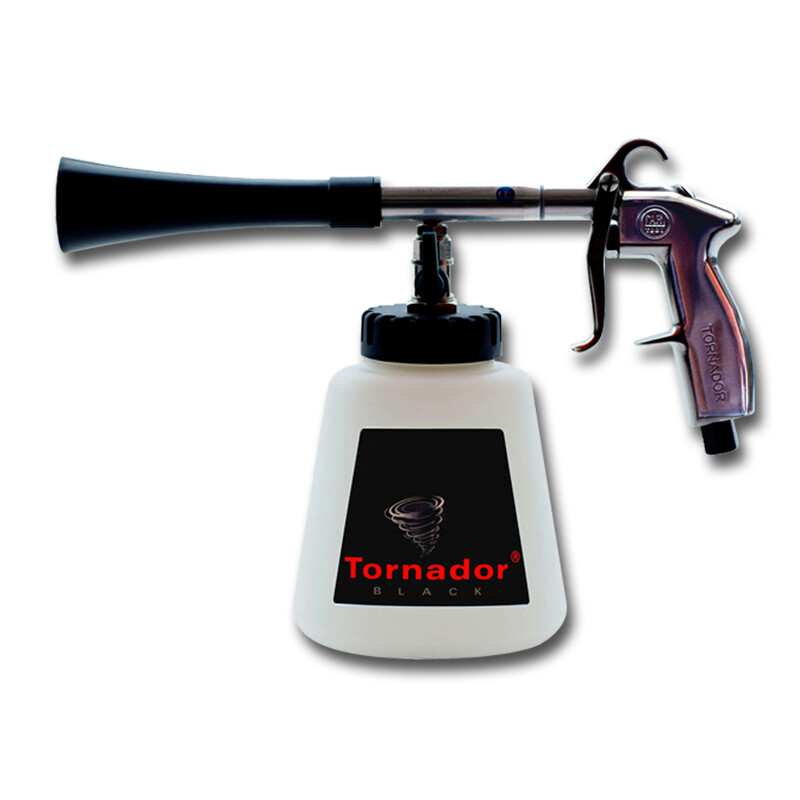 Use the TORNADOR® BLACK on the dashboard, door panels, steering wheel, fabric upholstery, carpet, floor mats, and between seats. It cleans in tough-to-reach places between seats and in seams. 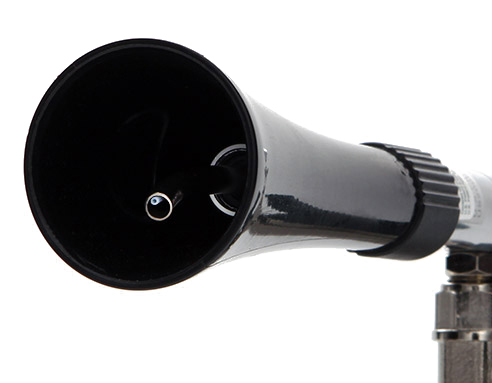 On the exterior, use the TORNADOR® BLACK to clean fabric convertible tops, body seams, detailing of wheels, and emblems. There’s no need to scrub. 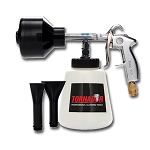 The TORNADOR® does the hard work for you! 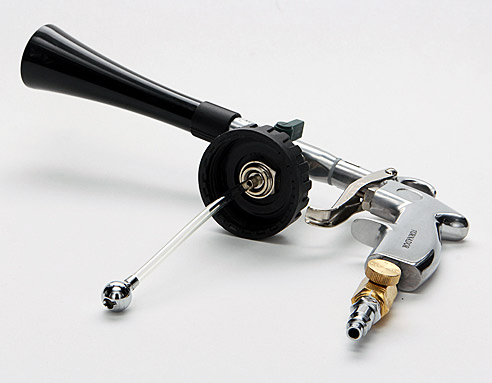 The TORNADOR® BLACK has an air regulator to allow you to change the working pressure directly on the tool. What this means is that you can adjust more pressure and cleaning fluid.